Earlier today I ran across an interesting picture while browsing through one of my picture archives. The picture is of the Guymon, Oklahoma Cowboy Band. It looks like the number 1938 is written on the drum in the middle of the picture, so I assume that this is the year that it was taken. Many of the members of the band are identified, but since the picture does not have high resolution I am not going to attempt to list them. I did look through the names of the men trying to see if I recognized any of the names, as I suspect that there is a family member among them. Unfortunately I didn’t find a name I recognized. The picture was in a folder titled Cochran, which is the family of my great grandmother Lottie Cochran. 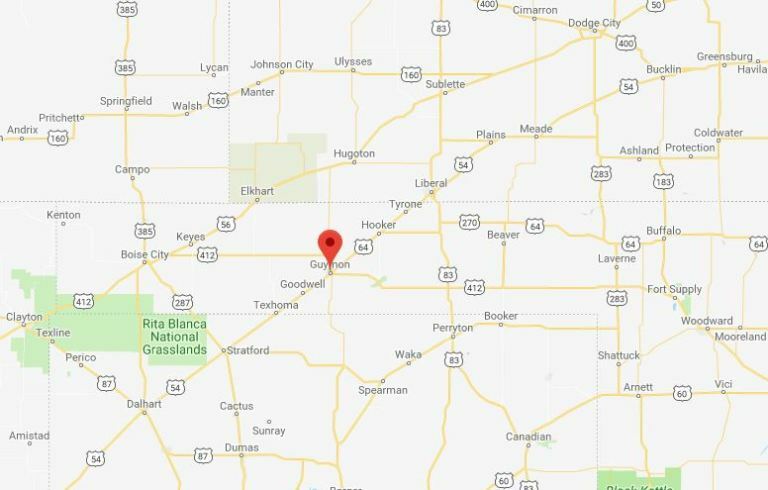 Guymon, Oklahoma is in the center of the Oklahoma Panhandle so is very near to where Lottie’s sister Goldia Cochran Duncan lived in Kenton, Oklahoma. See my Virtual Hike to Kenton, Oklahoma. When I first saw the picture I assumed that perhaps it was a picture of Otto Gray and his Oklahoma Cowboys who were an early Cowboy or Western band. However, Otto Gray lived in Stillwater, Oklahoma which is far from Guymon. Otto Gray is my great-grandmother’s second cousin. 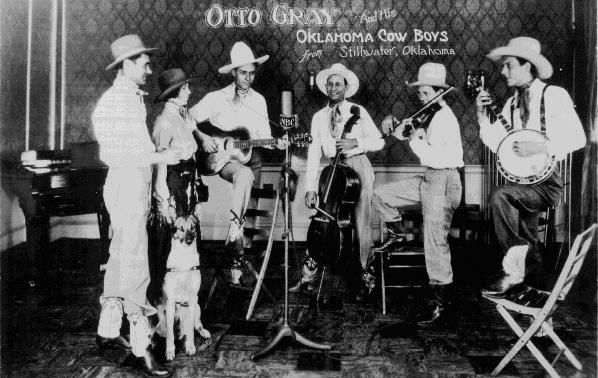 Otto Gray was very influential in the spread of Western music and his group was the first Cowboy band to appear on a nationwide radio program. There were many local bands in Oklahoma in the early 1900’s. One interesting group was the Braman Cornet Band from Braman, Oklahoma. My understanding is that Braman, Oklahoma was named for a railroad surveyor. Someday I need to see if I can find out more about the surveyor and see if he fits into my Braman family. 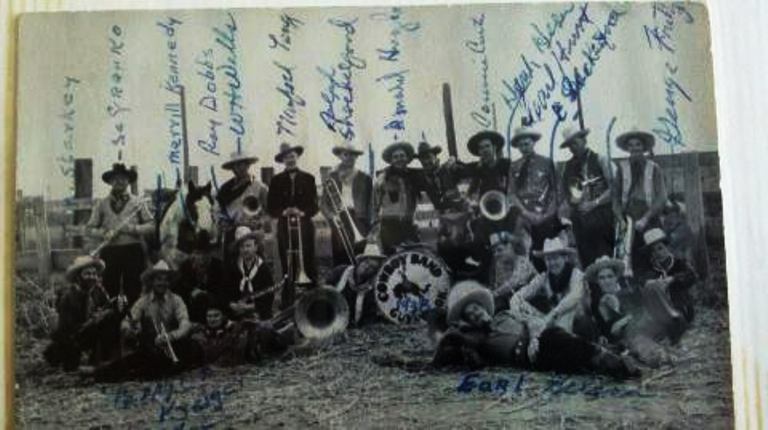 I am hoping that one of my Cochran cousins may know more about the picture of the Guymon Cowboy Band. I will have to ask them. This entry was posted in Culture, Family History, History and tagged bands, Braman Oklahoma, Cochran, Cowboy, Cowboy Band, Kenton Oklahoma, music, Oklahoma panhandle. Bookmark the permalink. I love this picture. My family grew up in SW Oklahoma and has a bunch of old photos with family musicians. They never made it to the big time, but according to my parents they could make a barn dance swing!